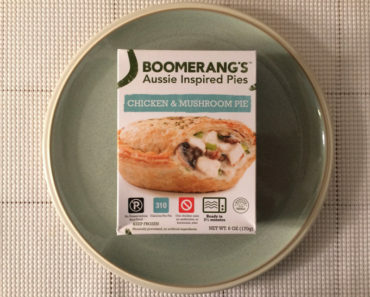 No one on the Freezer Meal Frenzy staff has ever been to Australia, so it’s impossible for us to comment on how they make their pot pies in that corner of the world. 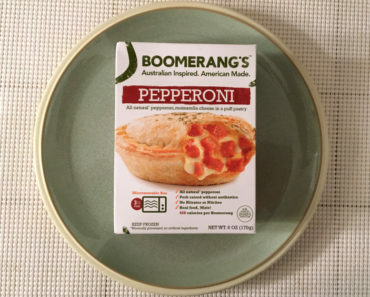 We can say, however, that we really like the way Boomerang’s makes them. The Southwest Chicken Pie is no exception. 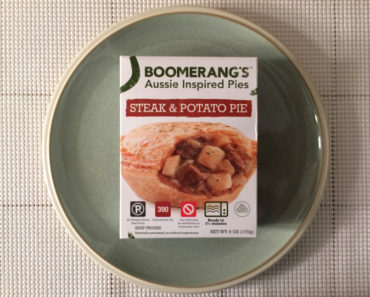 Now, we’re not sure what the word “southwest” implies over in Australia, but this particular pot pie definitely has an American bent to it, featuring the kind of filling you’d expect from, say, a southwestern burrito. 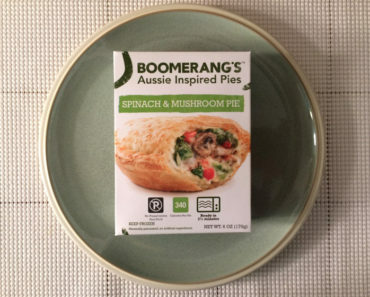 We should point out that Boomerang’s is located in Austin, Texas — not Australia — so despite the phrase “Aussie Inspired” on the package, this is made in the USA. 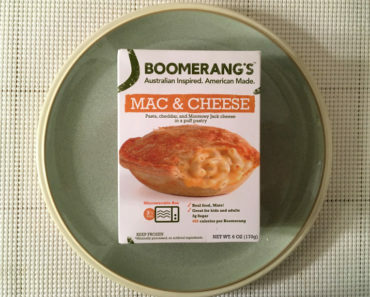 It’s definitely an American take on an Australian dish. The Southwest Chicken Pie is filled with chunks of chicken breast, black beans, corn, a variety of peppers, and cheddar cheese. It’s quite delicious, and it even has a bit of a southwestern kick to it. 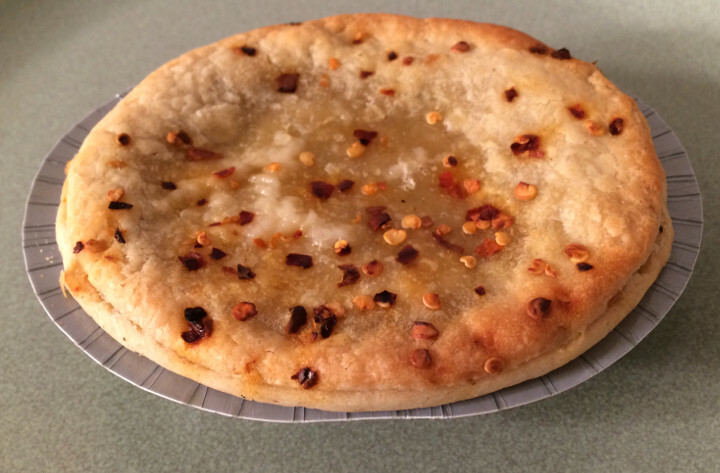 The crust tastes very good, and this particular pie has red pepper baked into the top of the crust. It makes for an interesting flavor, one we’re definitely fans of. 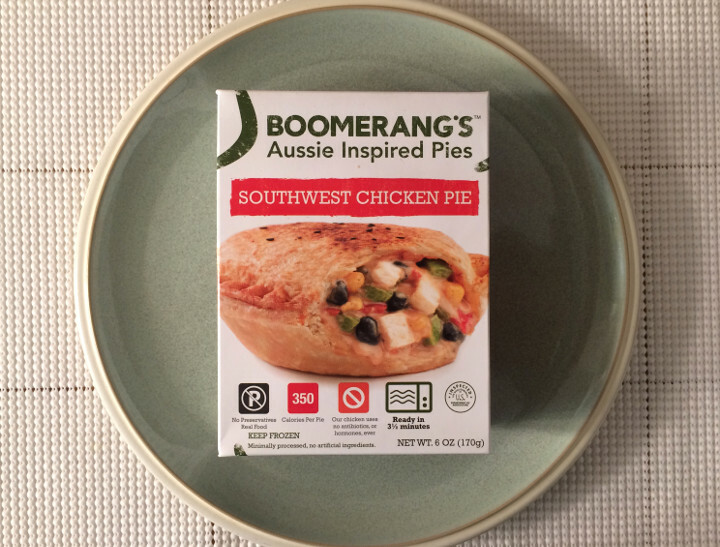 Boomerang’s Southwest Chicken Pie is a meal we’ll definitely be coming back to, just like the name implies. For full ingredients and nutrition info, check out our package scan below.